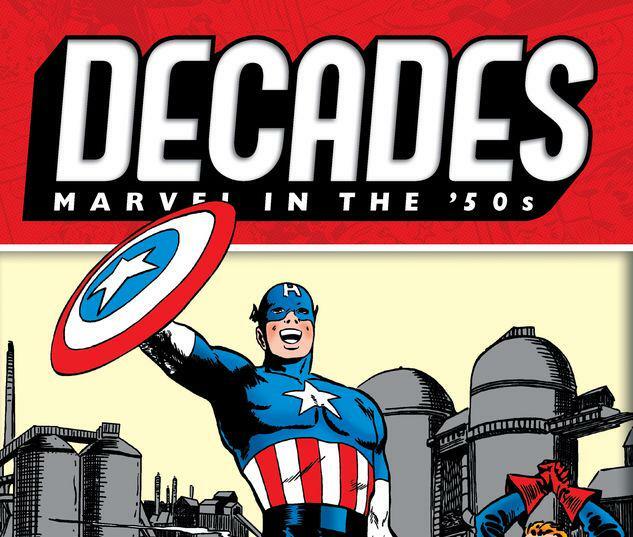 Celebrate 80 years of Marvel Comics, decade by decade — with the complete shield-slinging adventures of the Captain America of the Fab Fifties! As Atlas Comics revived its super-hero titles, the star-spangled Sentinel of Liberty took on a new mission: smashing the rise of communism across the globe! But an old enemy lies in wait: the Red Skull! 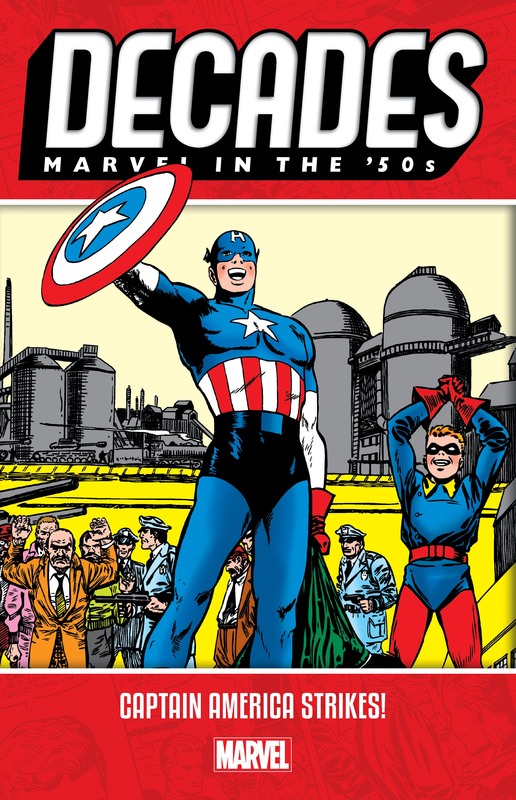 In this complete collection of Cap’s 1950s revival, Captain America and Bucky charge into action against fifth columnists, Soviet spies, secret agents from around the globe and fearsome foes from Electro to the Executioner! 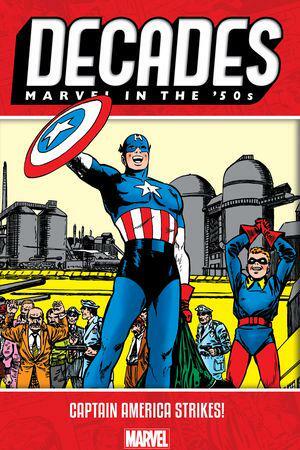 Plus: A modern-day story pulling back the Iron Curtain on the ‘50s Cap as he teams up with none other than Nick Fury! Collecting CAPTAIN AMERICA: THEATER OF WAR — AMERICA FIRST! and material from YOUNG MEN #24-28, CAPTAIN AMERICA (1954) #76-78 and MEN’S ADVENTURES #27-28. Howard Chaykin, Mort Lawrence, John Romita Sr.